Christian, husband, father, entrepreneur and financial planner. Brad is a lifetime learner who loves helping people solve problems and create plans to achieve their goals. Hi! 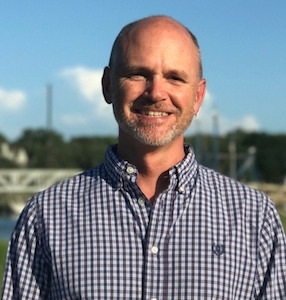 I’m Brad Kingsley and I’m a fee-only financial advisor based in the Mount Pleasant, Charleston SC area – also serving clients in other locations through video meetings and online tools. I’m passionate about helping people live the life of their dreams through Financial Planning! Financial Planning is a very relational process. In fact, the relationship part is likely just as important as the process – if not more so. You need to not only trust your financial planner professionally but you also need to like them personally. Here are some points I think are important to understand about me. My wife and I live in Mount Pleasant, just outside of Charleston South Carolina. We’ve been married for 23 years and have one daughter who attends the University of Georgia. I love serving people not only with fee-only Financial Planning but through volunteering at a variety of organizations. A few of the places I’ve been serving in recent years are: The Financial CARES Ministry at Seacoast Church, East Cooper Community Outreach, 180 Place (homeless shelter), Seacoast Young Professionals, and the ICAT Entrepreneurship program at the College of Charleston. There have been seasons in our lives when we had very low income and loads of debt. There have been other seasons when we had a really high income – and still loads of debt. Through more than twenty years of marriage, raising a wonderful daughter, starting, growing, then selling a business, and also coaching others – we’ve learned a lot about personal finance and what works and what doesn’t. It was bumpy at times, but through the years we have been able to attain debt-free status and a comfortable level of wealth. We also learned a lot about dreams, priorities, goals, and plans… and I love sharing those experiences with clients; helping them navigate (or avoid) many of the same pitfalls. That’s the short version of who I am. Why don’t you reach out so we can get to know each other? It doesn’t cost anything for us to talk and see if it makes sense for us to engage in a Financial Planning relationship. I look forward to hearing from you!